Shelia Hager - A beautiful, strong, unique, proud woman who had a knack for making people laugh. Wonderful mother, grandmother, wife, daughter, sister. I can not believe she is gone. 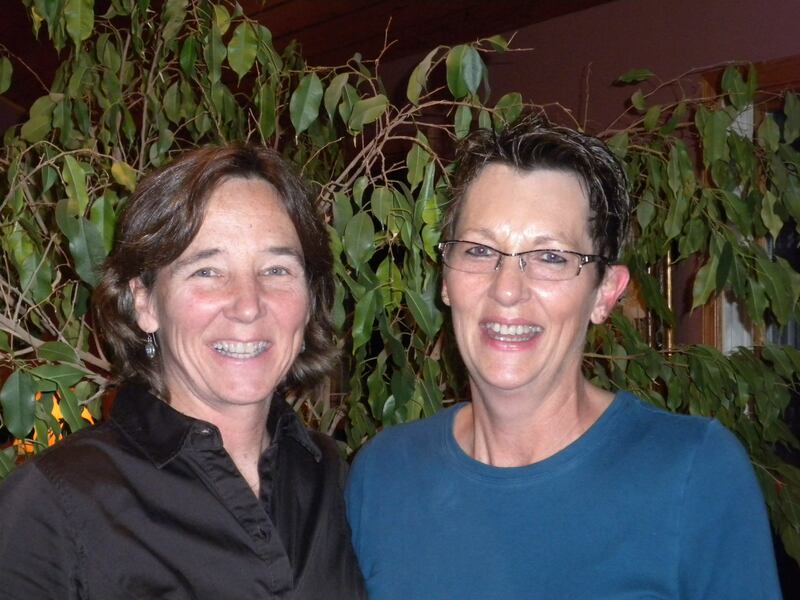 (April 16, 1958-June 10, 2016)"
Jinks Jervey-Page - "Jinks and A Sister's Hope founder Cathy Seabaugh worked together at the Chicago AIDS Ride office in the late 1990s. Jinks' smile could light up any room and she is one of those people we describe as 'a really good person.' 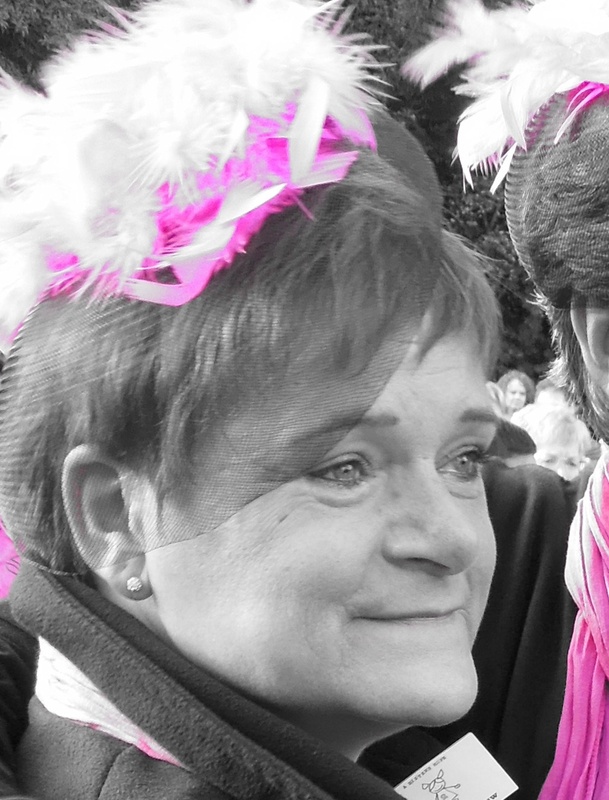 Breast cancer took her away from her husband, son and young daughter when Jinks was age 39. (March 13, 1969-January 16, 2009)"
Liesbeth de Langen - "Liesbeth joined the family of A Sister's Hope in 2008 and claimed Walker #1129. A breast cancer survivor, Liesbeth was a great example of positive attitude and, at age 67, she still loved being outdoors and active. Leukemia took her from us on August 22. We find it hard to believe that she will not (physically) be with us on the 60K Walk in October. 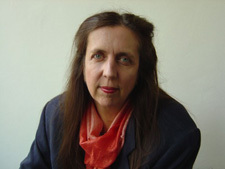 Rest in peace, Liesbeth." 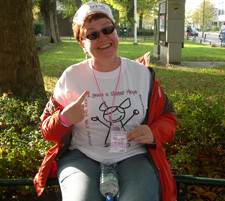 Petra Blaauw - "Petra, age 50, participated in every A Sister's Hope Walk from 2007-2012, first as a walker, then as crew. Walker 1077, Petra led her team, Walking on Sunshine, and all others into the Olympic Stadium for the closing ceremony on Oct. 6, 2012. She passed away on Nov. 27." Nicole Sieben - "Nicole, then age 38, participated in the opening and closing ceremonies, and walked as much as she could in 2008. She passed away on Oct. 28 that year." 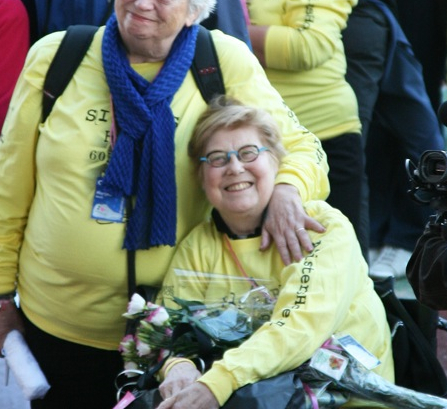 Leida van Voornveld - "Leida walked the first A Sister's Hope 60K in 2007. She was registered for the next year's Walk, but passed away before October. Team Sunnyside Up carried on in her memory. Leida will be Walker 1258 in spirit with us each year." Pieternel Haspels - "Pieternel was a friend to A Sister's Hope from the beginning and hosted the check-in and opening ceremony for four years at the Ton Hermans Huis in Amersfoort where she served as director. When she knew her time was limited, she wrote to A Sister's Hope and requested 'let go a balloon for me' at the 2011 closing ceremony where we honor in a balloon release all those who have faced breast cancer. 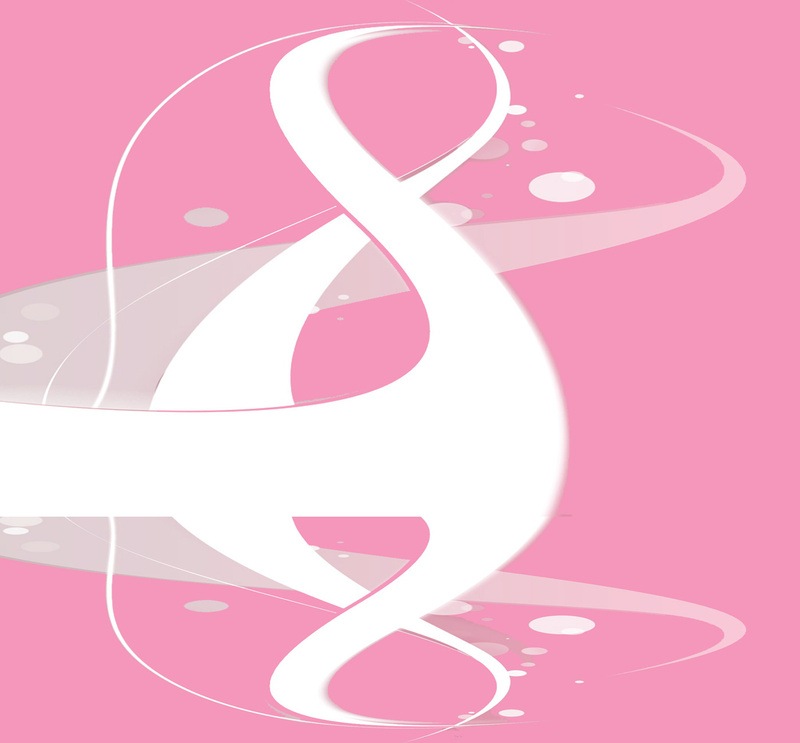 There will be a symbolic moment each year in memory of Pieternel and in honor of all she did for the cancer community." 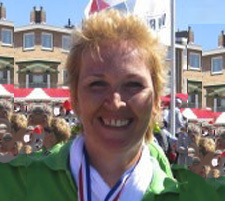 Elly Blijleven - "Elly registered for the 2010 60K Walk, yet was not healthy enough to participate, so she set her sights on 2011. 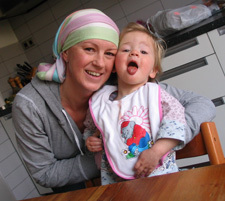 Further complications kept her from recovering and Elly passed away the end of December 2011." 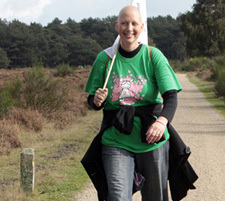 Jolanda van Hal - "After walking nearly 60 kilometers in the 2009 A Sister's Hope 60K Walk, Jolanda lost her fight with breast cancer at age 39, just three weeks after the Walk. She carried the A Sister's Hope flag every step of the Walk that year. Her determination and the example she set will inspire us always." Listed are further dedications, honoring and remembering those who fought this disease and left us too soon.